A laid-back resort located just minutes from top area outlet shopping, restaurants, a water park and an 1880s-themed amusement park, Pointe Royale Condominium Resort & Golf Course offers spacious one-, two-, three- and four-bedroom condos. 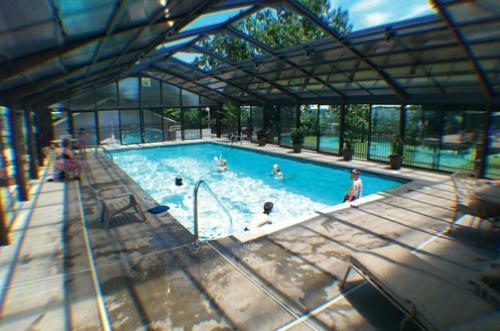 Guests can enjoy an indoor heated pool, outdoor pools (open seasonally), a fitness center, tennis courts, a challenging 18-hole golf course, and more. Located 3 miles to Table Rock Lake, 3 miles White Water, and 7.3 miles from Silver Dollar City, across from Welk Resort Theatre. 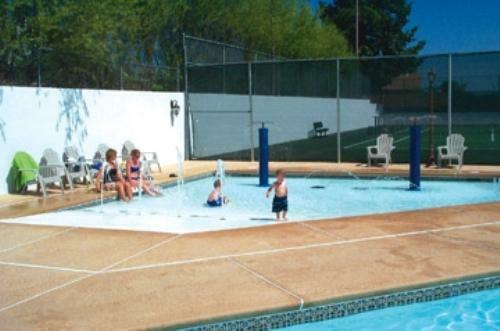 Amenities include a 18-hole golf course, tennis courts, and indoor, outdoor, and kiddie outdoor pools. Lake Taneycomo borders this property. Never miss a notification with free Wi-Fi. Accommodations include fully equipped kitchens, private balconies. 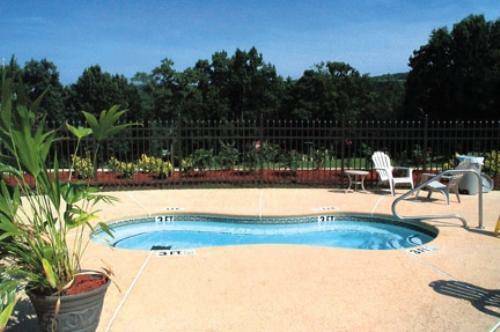 Pointe Royale offers 1, 2 and 3 bedroom condominiums which are comfortably furnished, independently decorated and spaciously designed with living rooms for gathering space, dining areas, fully equipped kitchens with private bedrooms and baths, located on a Championship 18-hole golf course. 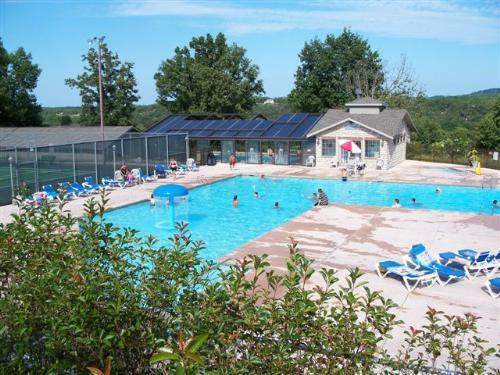 Enjoy the scenic setting along Lake Taneycomo, below the Table Rock Dam, as well as golf, tennis, indoor and outdoor swimming pools, kiddie outdoor pool, hot tub, playgrounds, picnic areas, meeting facilities up to 160 people and trout fishing. Restaurant and lounge are also available. Located on Highway 165, 3 miles south of Highway 76, across from the Welk Theatre and convenient to other Branson shows and attractions, you will find a unique mix in location, charm and Ozark Mountain Country hospitality ideal for couples and families. 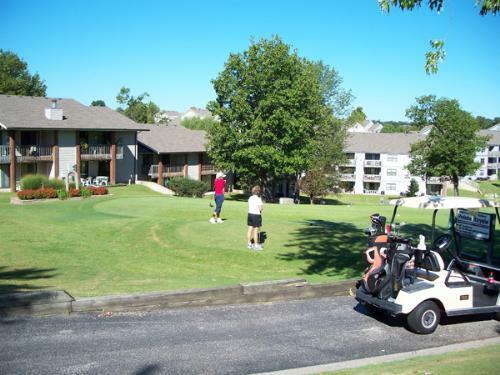 Views could be of the championship golf course greens, fairways, or ponds as well as Ozark Mountain bluffs, Lake Taneycomo or the manicured grounds of Pointe Royale. Condominiums are equipped with full kitchens to include stove, refrigerator, microwave, dishwasher, and cooking utensils, along with washers, dryers, iron and ironing boards. Registered Guests can enjoy reduced greens fees at Pointe Royale's challenging 6,070 Yards, Par 70 Championship Golf Course with Bent grass greens and Bermuda Fairways. Rates do not include daily maid service. Daily maid or towel services are available for an extra fee. A one-time $2.00 fee allows for unlimited local calls, unlimited 800 access and voice mail. 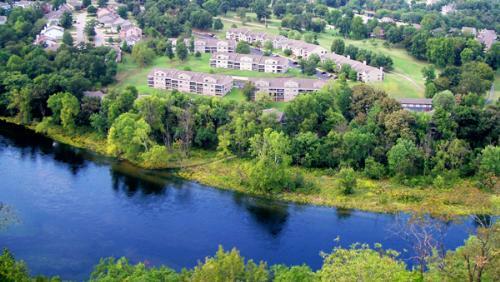 How many condominiums are available at Pointe Royale Resort? 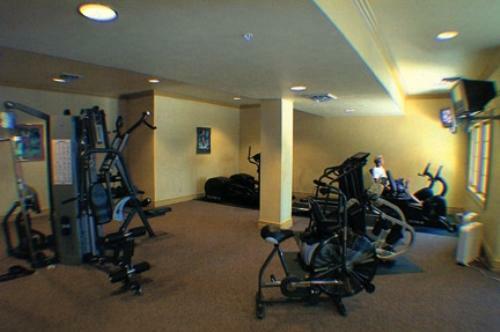 There are 180 condominiums available for nightly rental. The condos at Pointe Royale Resort are located in 37 buildings. There are not adjoining units at this property. Yes, a lounge and café are located on site. The café serves breakfast, lunch and dinner. Do you have a minimum age required for check-in at Pointe Royale Resort? Guests must be at least 18 to be able to register at the resort. There is a phone service charge for 911 service that is $2.00. Cribs are $4.00 per night. What are the pool hours at Pointe Royale Condominium Resort? The pools are open from 10:00 am - 11:00 pm. Yes, guests can check-in at any time. 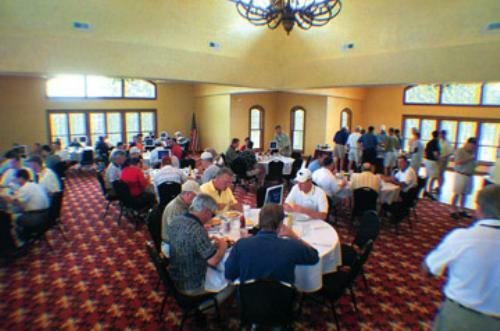 What is the cost to golf at Pointe Royale? From 7:00 am-2:00 pm the cost is $53.21. After 2pm the cost is $42.35. All rates include cart and tax.